Look at the final scoreline and one would assume Ulster took a pumping over at Scotstoun. 30-7 and outscored four tries to one, Glasgow Warriors clinched a home Guinness PRO14 semi-final by ruthlessly taking the chances that came their way. Having gone from a season's high - performance-wise - against Leinster, this was a crash and a thump back to planet earth and it will get no easier against Edinburgh on Friday night. Ulster are currently second in Conference B but only three points separate them (54) and Treviso (51). Edinburgh are on 52 but their tails are on full plume after they beat 2016/17 champions Scarlets down in Wales. Had Tommy Seymour not been so influential, in attack and defence, Ulster could have left Glasgow with something to show for their efforts. Seymour scored just before half-time - after Ulster had been denied down the other end of the pitch - and he prevented two tries in the second half. The first, when Glasgow were 27-7 up, arrived on 47 minutes. 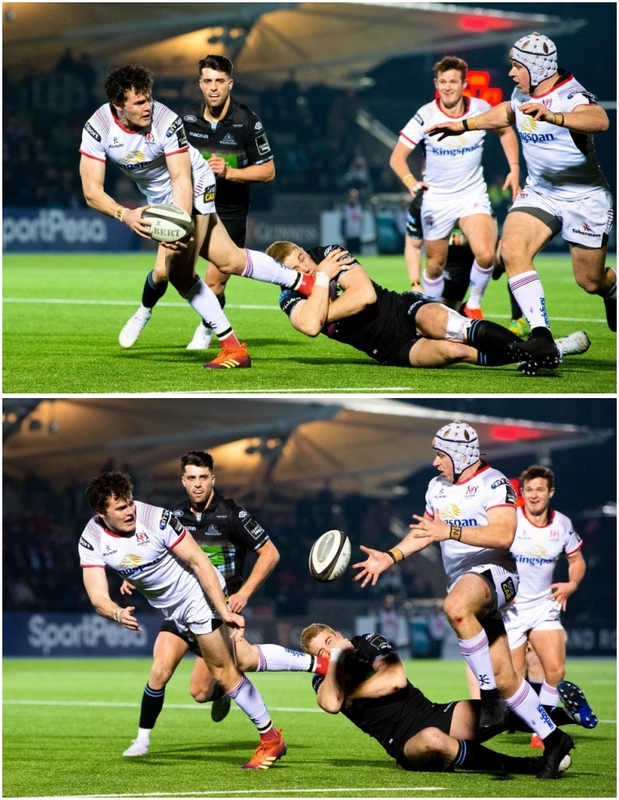 Had Luke Marshall, who received an offload from Jacob Stockdale (below) 10 metres out, dotted down, a conversion would have put Ulster right back in it. Seymour was not having it, though, and - like Dave Kearney against Ulster last week - he kept chasing back as a score looked inevitable. The Scotland winger managed to poke the ball free from Marshall's grasp before he could dot down, leaving the Ulster centre distraught. The first Ulster player to Marshall was Jacob Stockdale and Andrew Trimble, who was on commentary duty in Glasgow that night, revealed what he said to his teammate.  Trimble spoke about the incident, and Stockdale's comment, on the latest episode of Baz & Andrew's House of Rugby [from 44:00 below]. Stockdale was under scrutiny in Ulster's Champions Cup loss to Leinster but he responded with a solid outing against Glasgow (making 83 metres off 10 carries) and setting up Marshall for what looked to be a useful score. Marshall did slide but, like Stockdale, he may consider diving forward onto the ball when he gets his next glimpse of the line. Seymour dived headlong and poked the ball from the centre's clutches just as he was about to touch it down. "Tommy Seymour just poked through, underneath Luke's elbow, and just popped the ball out. "Jacob was the first man over to him and he said, 'At least it wasn't a quarter final, mate'. Luke didn't find it funny. "Luke wasn't doing anything wrong but the angle was just perfect for Tommy Seymour to pop it out." To make matters worse, after Glasgow went 30-7 ahead to end any hopes Ulster may have had of a comeback. Rob Lyttle was then narrowly denied a consolation score in the final quarter. Fine margins combined with errors are combining to do serious damage. 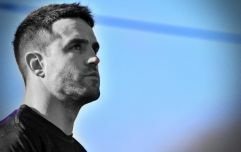 With Munster set to rest several frontliners against Treviso, Ulster's Conference B rivals, Dan McFarland's side may have to finish the season with wins over Edinburgh and Leinster (at home) to stave off the Italians and reach the knock-out stages.